Three photographs of Quivira monument dedications. On October 29, 1901, the Quivira Historical Society was organized in Alma, Kansas in an effort to erect monuments marking certain historical sites. 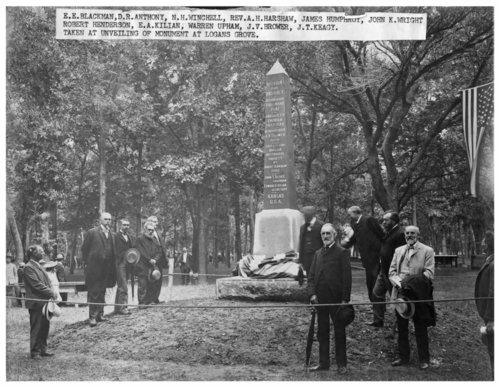 The first of these monuments was unveiled on August 12, 1902 at Logan Grove, near Junction City.